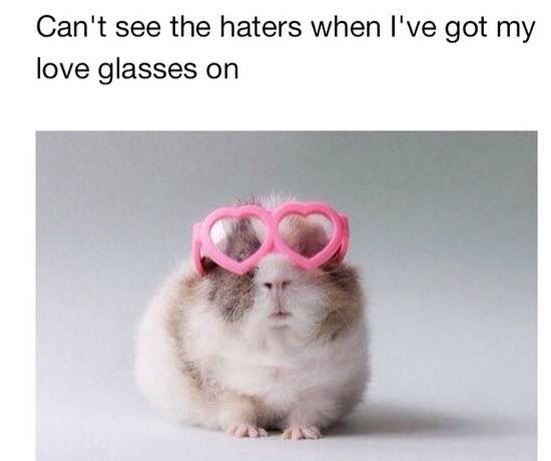 “I can’t see haters I have my love glasses on”. I needed to look no further! As I began to wonder about those who hate and those who naturally love, I couldn’t help but wonder why the difference… Nurture vs Nature? A world filled with love, everyone wearing their love glasses 24/7, could you even imagine? Love one another, forgive others, and accept each others differences! Let’s all try to wear our love glasses daily and see how we can change the world! Living life filled with love, awe and wonder! Categories: inspiration, life, love, Wonder | Permalink.